Automn is not over yet but New York City is slowly getting ready for winter … New York’s most famous skating rink, the Rockefeller Center Ice Rink, has opened on October 8, 2018 until February 23, 2019. 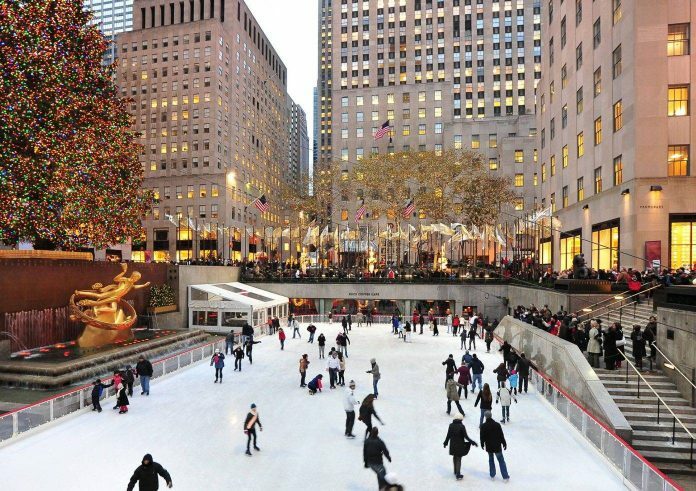 The ice rink is located in Midtown, in the middle of the Rockefeller Center complex, at the foot of the Comcast Building. It’s this famous building that hosts the Top of the Rock. 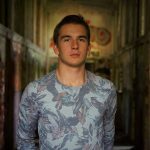 The principle is very easy : First person that come, first person that served ! The ice rink is open to everybody , from 8:30am to midnight, on the very effective principle : “first person that come, first person that served” . In practice, you can skate 1h30. Every 1h30, the skaters must leave the ice to give the possibility to the following to skate. To get started on the ice, go first to the Skate House, the home of the ice rink. The price of admission varies between $ 25 in low season and $ 33 in high season. You must add $12.50 for the rental of the skates. If you can not skate, you can take lessons. It’s $50 for 30 minutes. 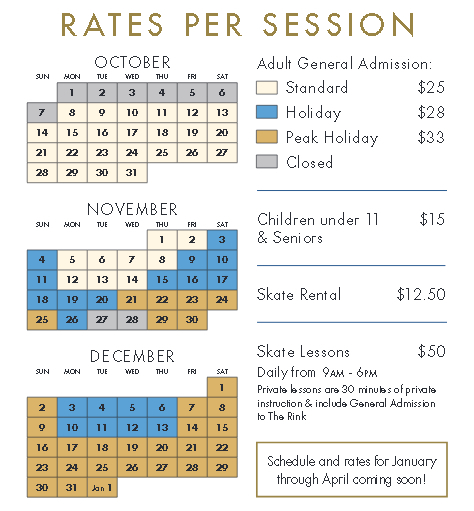 Good to know: the price of admission to the rink is included in the price of lessons. And if you visit New York with your family, children are welcome! The price is $15 for children under 11 years old. The rink also has equipment to rent for children: just add $8. Previous articleEverything You Need to Know About New York Passes?